Melasma is a chronic skin disorder that appears as symmetrical brown blotches on the face. This common condition often effects pregnant women due to hormone changes, but can also occur in men. Melasma often appears on the forehead, cheeks, bridge of the nose, or chin, and while the discoloration can make you feel self-conscious, it usually doesn’t cause any physical harm. As one of the leading triggers of melasma is sun exposure, daily sunblock is a must. The best sunblock for melasma offers broad-spectrum protection and a recommended SPF of 30 or higher. While melasma cannot always be prevented, you can help reduce the likelihood of a breakout by engaging in a daily sunblock regimen. If you have melasma, you’ll want to use one of the sunblock products we reviewed below. High SPF: One of the most important features of any sunblock product is the SPF, which stands for Sun Protection Factor. SPF ranges from 2 to 100+. For melasma sufferers, opt for a minimal SPF of 30, but preferably as high as 60. Broad-Spectrum: There are several types of sunblock products on the market. While some offer protection from just UVA or just UVB rays, it’s best to choose a product that protects against both. Daily Use: You can feel the consequences of sun exposure year-round – both in the dead of winter and in the sweltering summer. You’ll want to use a sunblock that is safe for daily use and contains zinc oxide which helps prevent melasma. Invisible Formula: While this feature is personal preference, most people opt for an invisible formula sunblock. As melasma generally develops on the face, an invisible sunblock allows you to wear the product undetected or under makeup. There are countless great sunblock products on the market, but when you’re dealing with melasma, you need the best. 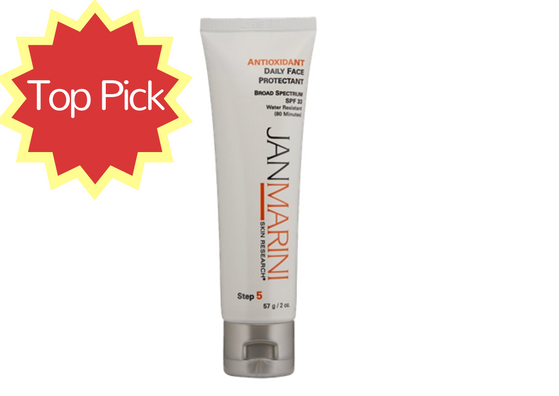 What makes the Jan Marini Skin Research Antioxidant Daily Face Protectant the best sunblock for melasma is its non-greasy formula, moisturizing ingredients, and broad spectrum protection suitable for daily use. As a leading professional beauty product manufacturer, Jan Marini Skin Research knows skin. This antioxidant-rich formula has a SPF of 33, is water resistant, and tint free. The daily face protectant also has other great skincare benefits, including oil control and advanced hydration to keep your skin soft, supple, and looking youthful. While the SPF is lower than other sunblocks on this list, this is our favorite because it stayed on the longest. When it comes to daily skincare, many individuals prefer a more natural approach. 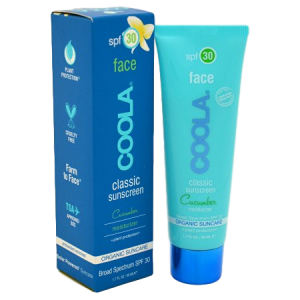 The COOLA Organic Suncare, Cucumber Face Sunscreen Moisturizer is formulated with more than 70 percent certified organic extracts like rose hips, comfrey, and cucumber to create a nourishing sunblock product. Excellent as an everyday moisturizer, this organic sunblock product has an SPF of 30 and can be used as a daily moisturizing and sunblock product on clean skin or under makeup. The formula is rich in vitamins and antioxidants, which helps to protect, soothe, tighten, and hydrate skin all at once. I instantly fell in love with this product! Physical sunscreens containing zinc oxide and titanium dioxide are recommended for melasma sufferers. 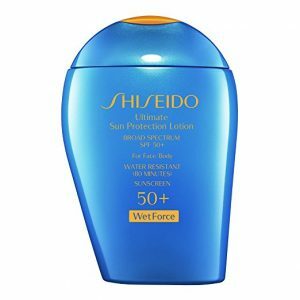 The Shiseido Ultimate Sun Protection Lotion contains both of these essential ingredients. What makes it the best sunblock for melasma is its high SPF of 50 and its ability to protect both the face and body. The water-resistant formula can last up to 80 minutes in wet environments while still protecting against harmful UVA and UVB rays. In addition to helping prevent sunburn and melasma, the moisturizing sunblock product can also help prevent dryness, cell damage, fine lines, and premature aging of the skin. If you’re in search of a high-quality sunscreen designed exclusively for the sensitive skin of the face, you’ve found it. The La Roche-Posay Anthelios 45 Ultra-Light Facial Sunscreen Fluid is an ultra-light sunscreen formula that offers broad-spectrum protection and an SPF of 45. The revolutionary fast absorbing sunscreen leaves a matte finish and is water resistant for up to 40 minutes. Formulated with Cell-Ox Shield antioxidant technology, the weightless sunscreen is allergy-tested, dermatologist-test, and has been successfully tested on sensitive skin. Why use a normal sunscreen when you can find one that offers several functions in one lightweight, nourishing skincare product? The Vichy Ideal Capital Soleil SPF 50 Ultra-Light Facial Sunscreen Fluid features essential antioxidants and an advantageous dose of vitamin E to help you achieve younger looking, more beautiful skin. The moisturizing sunscreen product features multi-layer cellular protection from harmful UV rays and free radical damage. With a transparent, fluid texture, the broad spectrum sunscreen is non-greasy, non-sticky, and leaves no whitening residue. What makes it the best sunblock for melasma is its highly effective UVA and UVB filters.